FINANCE AVAILABLE EVEN TO PEOPLE WITH POOR CREDIT! ZERO DEPOSIT AVAILABLE! ASK US TODAY OR APPLY ON OUR WEBSITE! CALL NOW TO RESERVE THIS VEHICLE! PART EXCHANGE WELCOME! CONTACT US NOW FOR AN INSTANT VALUATION! LOW MILEAGE CAR FOR YEAR WHICH IS BASED ON A VW GOLF! STUNNING BEIGE LEATHER INTERIOR WITH HEATED FRONT SEATS! 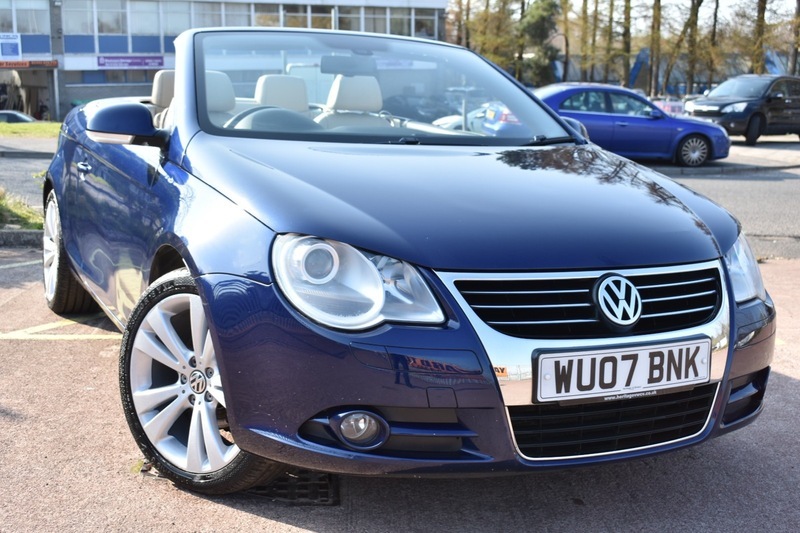 FOLDING HARD TOP ROOF MEANS THIS CAR IS GREAT IN SUMMER AND IN WINTER! IT ALSO FEATURES A GLASS SUNROOF THAT CAN BE OPENED INDEPENDANTLY OF THE ROOF! DECENT BOOT SPACE! RECENTLY BEEN SERVICED! 12 MONTHS MOT INCLUDED! V CAR REGISTERED! TVS are a credit broker and not a lender. We are Authorised and Regulated by the Financial Conduct Authority. FCA No: 755718 Finance is Subject to status. Other offers may be available but cannot be used in conjunction with this offer. We work with a number of carefully selected credit providers who may be able to offer you finance for your purchase.